“When you play an evil man, look to see where he is good. When you play an old man, look to see where he is young”. This quote from Konstantin Stanislavski illustrates the transition he made – a transition that all actors must make – in creating complex characters, instead of portraying characters as black-and-white, two-dimensional figures. Every good person comes with a flaw, a devious side. Likewise, every “evil” person has a redeeming quality, something that makes them decent and, well…human. Every old character has a youthful quality, just as an immature person can be mature in some aspects of life. 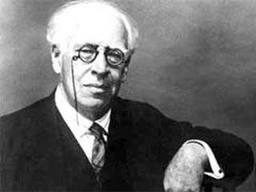 Stanislavski obsessed over finding this “truth”, finding complexity in characters that make them more than just caricatures. NEXT: What is an “Objective”?